Hotel Nandanvan Annexe is a comfortable property situated in Shivneri Path, Shivaji nagar, Pune. 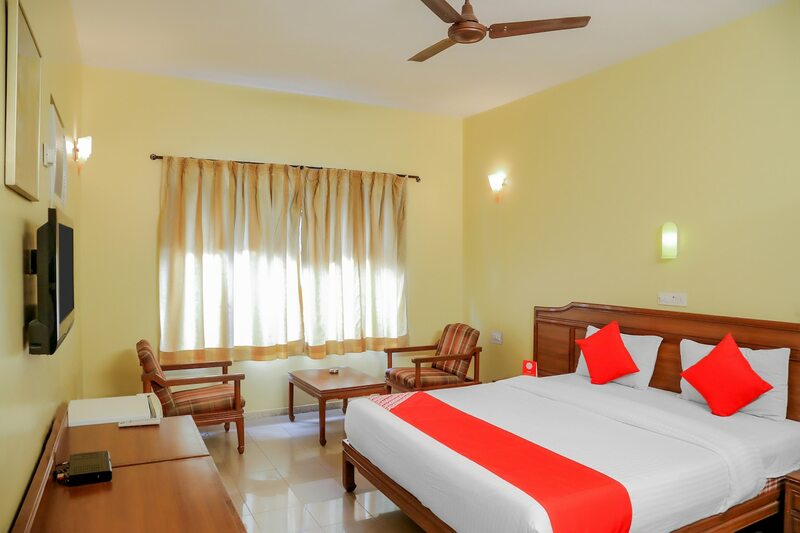 The rooms of the property Hotel Nandanvan Annexe have a bright and relaxed atmosphere. They large curtained windows of the rooms are classy and give an enjoyable stay. The property offers the guests with cozy and comfortable rooms with bright and classy atmosphere. The rooms are spacious, well-furnished and equipped with a min-fridge. They offer amenities like power backup facility, parking facility for the visitors vehicles and an elevator facility. The visitors can wander around key attractions near the property like Parvati, Vettal Hill, Pune- Okayama Friendship Garden, Atharva Vihar, Anandvan, Wageshwar Lake and Buddhist temple. The guests staying in the property can enjoy food from many restaurants like Gandharv Restaurant, Vaishali, Darshan Restaurant, Barbeque Nation-Pune Decan, Le Plaisir and Sams Pizza.